Statewide Roofing Supplies also supply a wide range of metal fencing supplies in Adelaide. Our experience with Metal and Steel Roofing supplies has provided us with an extensive knowledge regarding the application of metal and steel fencing panels. Whatever your fencing project, Statewide Roofing supplies have the materials for the job! From a single screw or fencing sheet to supplies for a full steel fence, we have you covered. No minimum orders, and we provide sales to the public in addition to our large wholesale customer base. Read below for further information about our steel fencing supplies. 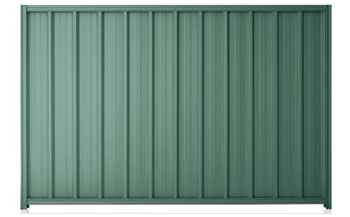 We supply Colorbond Fencing panels in the full range of colours and profiles. Like their roofing panels, the Colorbond Fencing Panels’ versatility makes them a great choice for a range of steel fencing applications. 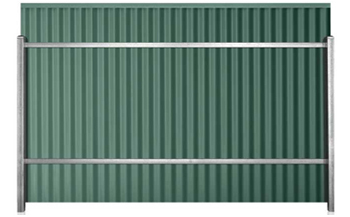 We supply the popular Good Neighbour Fencing in the full range of profiles including Good Neighbour Superdek Panels, Good Neighbour Corrugated Panels, Good Neighbour Wavelok Panels, Good Neighbour Smartspan Panels, and Good Neighbour CGI Mini Panels. The Good Neighbour range provides both sides of the fence with a post free appearance and is a popular fencing solution. We supply Post and Rail Fencing in a range of colours and profiles. With Traditional Post and Rail Fencing, the fence supports are exposed on one side of the fence panel, but is an excellent choice for a cost effective form of fencing. Whatever your fencing application, Lysaght Fencing panels provide an effective and stylish choice. If you have any questions about any of our Fencing Supplies, please contact us.